It's crazy that we've been back from Hawaii for only a week! I feel like it was a lifetime ago. 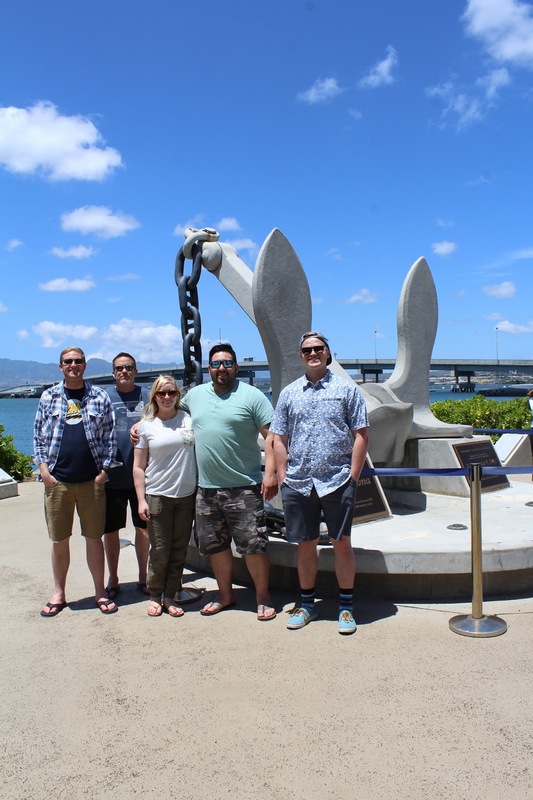 The first day we flew into the Honolulu airport on the island of Oahu, and drove right over to Pearl Harbor because it was so close to the airport. It was a gorgeous day, the surroundings beautiful, and the area felt so sacred. Watching all the videos about the day Pearl Harbor was bombed and reading all the names of lives that were lost were very humbling. It made me feel so proud to be an American, and to be part of such a great country. After our visit to Pearl Harbor we ate at Zippys (plate lunch is delishhh), and started to make our way to the house waiting for us on the other side of the island near Laie!